ICCA summit was held in Ethiopia. Two staff members, Simone Gress Hansen (DK) and Antoine Scherer (FR) participated as Snowchange delegates in high-level events over the last week. Simone travelled to the traditional knowledge summit in Greenland and Antoine attended ICCA Consortium General Assembly in Ethiopia. Reports follow below. 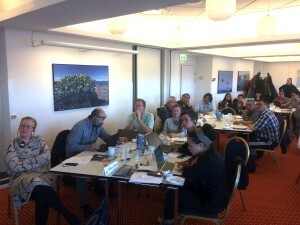 The Workshop “Traditional Livelihoods in a Global Reality” was held in Nuuk, capital of Greenland in early November. It was organised by KNAPK, Association of Hunters and Trappers of Greenland, a Snowchange partner. Wildlife management in Greenland has, since colonial times, been under the authority of the Provincial Councils of South and North Greenland and the Hunting Council of Thule. No wildlife species has been under threat. 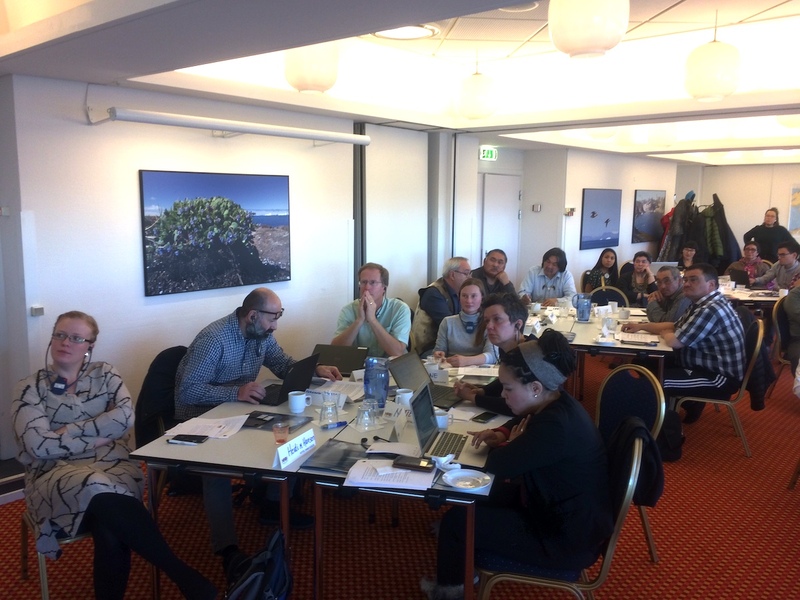 Inclusion of user knowledge (indigenous knowledge) is stated in the Greenland hunting act, though, international management and advice fora only use scientific knowledge as a base for decisions, and Greenlandic users have very limited possibility to influence these. Hunting is an important part of the formal and informal economy for many Greenlanders. Especially in parts where the most important fishing industry has no facilities. Sustainable management of living resources rely on substantial knowledge of the resource, and that is not available in many parts of Greenland and the Arctic, furthermore, the Arctic environment is changing rapidly and unpredictably. In the management legislation of living resources in the Arctic Council and Convention on Biodiversity, traditional knowledge is stated as absolutely important for a successful management. In Greenland, Inuit has never by their own, driven any species to extinction. The earliest written legislation from the early twentieth century for the Greenland living resources (eider duck), relied on local monitoring and management. That legislation was later replaced and now the hunting act states that hunter’s knowledge should be included in the management and further rules can be implemented, the latter has not happened yet. In a rapidly changing environment it is crucial to have updated information to respond timely to changes, by local monitoring and management that relies on local monitoring, a system should be operating, that sets clear and simple rules for the implementation of local monitoring. Despite formulations and agreements nationally and internationally about inclusion of user knowledge in wildlife management, many management actions has proven that this is not the case, most likely because of user knowledge not meeting the demand of western science reproducibility. The ultimate goal of this project is to assess possible ways for indigenous knowledge holders to influence management decisions. 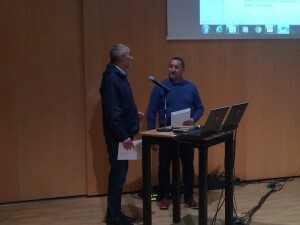 “I participated at the KNAPK workshop in Nuuk on behalf of Snowchange Cooperative. The workshop went really well. 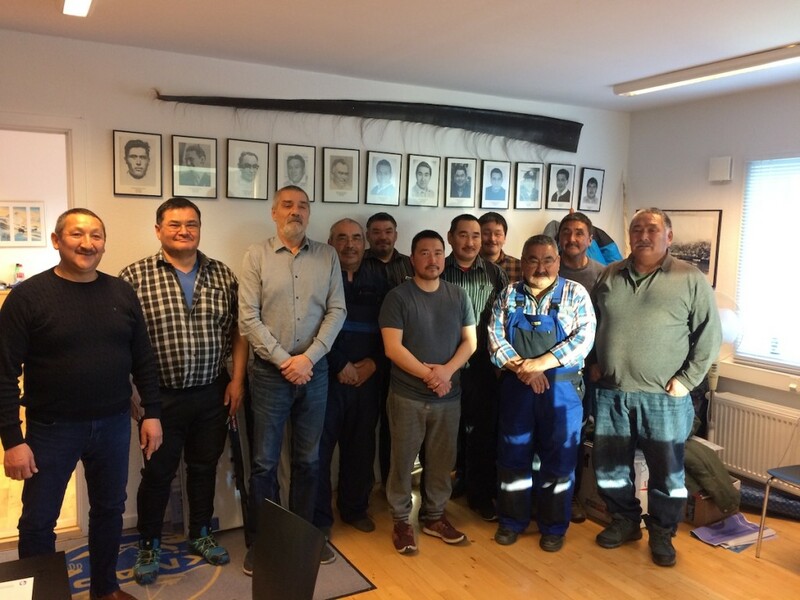 We were around 50 people participating; both scientist, government representatives and students, however most were fishermen and hunters coming from all over Greenland (Nanortalik, Qaanaaq, Uummannaq, Upernavik, Qeqertasuaq, Attu, Kangaamiut, Nuuk, Paamiut, Narsaq, Kulusuk and Ittorqqortoomiit) from the local KNAPK hunting councils. The theme of the first workshop day was “Monitoring programmes and their connection to management“. Firstly, Lene Kielsen Holm from The Greenland Institute of Natural Resources gave a presentation about the use of Indigenous knowledge in Arctic research. Amongst other stressing the importance of getting elementary schools and kids engaged in the climate change discussion, and teaching them about the changes and consequences they are facing in their own regions. As Lene put it, “When I think back, we were taught more about the monkeys in Africa than about our own environment”. Following Henry Huntington from Ocean Conservancy, Alaska gave a presentation about user knowledge and wildlife management experiences from Alaska. He argues that what is especially missing is true collaboration from beginning to end, increased involvement in EIAs and the ability to recognize BS from reliable information. 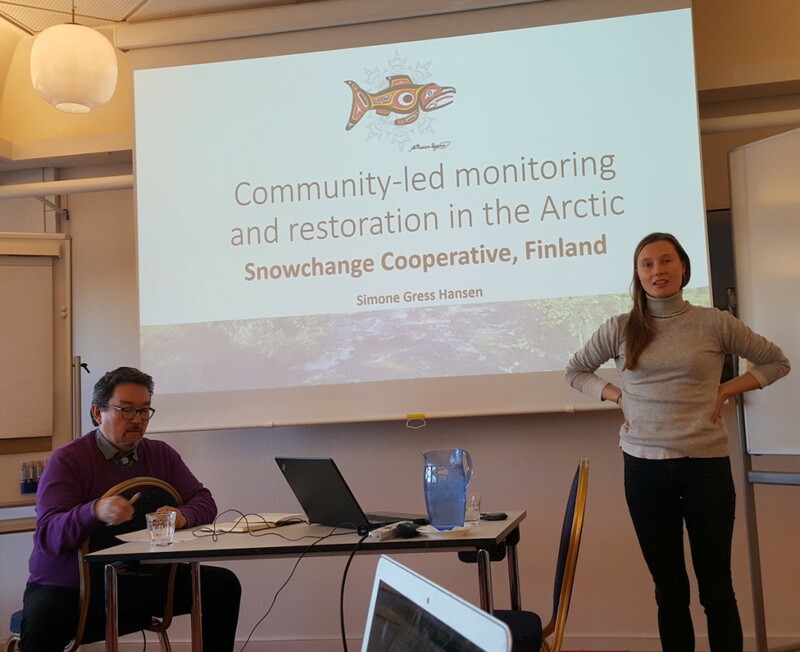 Following Lene and Henry, I gave a presentation about Community-based monitoring in the Arctic, the Näätämö management and restoration programme and the work performed by Snowchange. As the last presenter of the day before panel discussions and group work, Fernando Ugarte (the head of Dept. of birds and mammals Greenland Institute of Natural Resources) presented how GINR use local knowledge in their work. 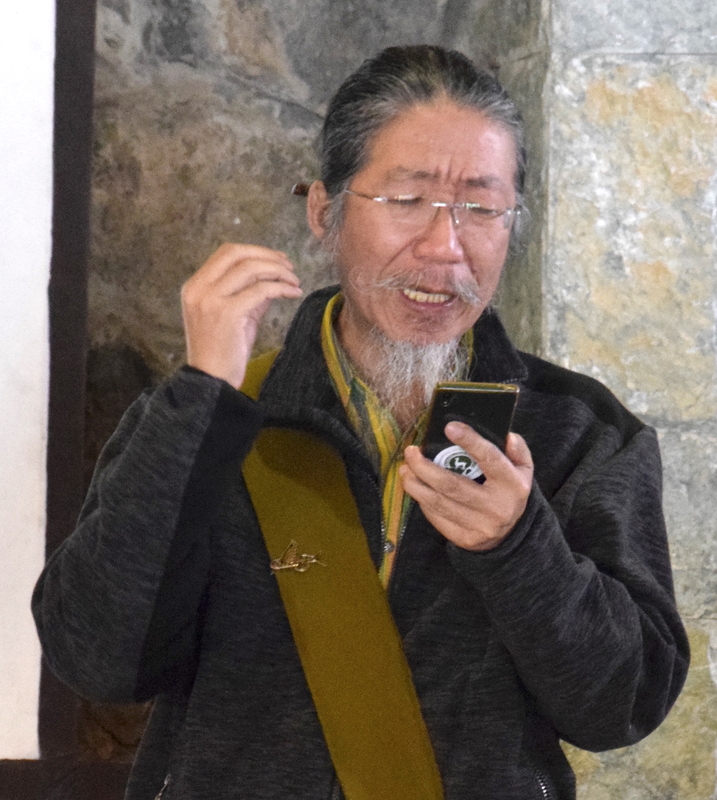 I must say, he had a difficult job at the workshop, since many of the hunters and fishermen were questioning the findings of GINR and the way GINR involve locals and include local knowledge in their research. However, I think it was very important both for GINR and for the hunters/fishermen at the end of the workshop to have had the chance to talk. In the end, Fernando personally said that he had received many positive responses for showing up and facing the questions. Overall, it was a very interesting first day, which produced topics for several long discussions amongst the participants. Personally I had many discussions with Henry about the role of community-based monitoring, especially how to most efficiently use the data coming from projects such as the Näätämö and PISUNA. One of the greatest successes of the workshop, was the fact that the hunters/fishers were so well represented and had a forum to discuss and learn not only from each other but also from the scientist, students and the governmental representatives that were present- and especially vice versa. Amalie Jessen from the dept. of Fisheries, Hunting and Agriculture (APN) together with Nette Levermann (also from APN) answered many of the concerns that were discussed. At the same time they expressed understanding for the frustrations experienced by the fishers/hunters and a will to genuinely work towards more inclusion of local knowledge. Furthermore, they could inform of several new management decisions benefitting the hunters/fishermen planned to be implemented in the near future. At times it could be a bit difficult keeping on track of the day’s topic, and keeping to the time plan. Everybody was VERY active in participating in the debate, since this topic was very close to heart for everyone present. This meant that the discussions sometimes would become very personal and detail-oriented. Two days are simply not enough when fishers/hunters have been traveling for days to get to Nuuk carrying the weight of the whole of their community on their shoulders. It is no surprise that often the focus would be turned to a specific issue, which the fisher/hunter felt strongly for should be addressed with regards to changed management. The second day the theme was “implementation of monitoring to management”. Here I will highlight Nicole Kanayuraq from the North Slope, Barrow presenting about co-management in Alaska and Kupik Kleist and the Pikialasorsuaq (North water polynya) commissions work, which I personally found to be particularly interesting and furthest ahead of suggesting the most far-reaching and genuine changes to current management procedures. During the whole workshop especially Åge Hammeken, from Ittoqqortoomiit on the East coast made a big impression on the other hunters/fishermen. Many of which had never been on the East coast themselves. Everybody agreed that in North and East Greenland, the conditions are so much different that the rest of the country and the people there are struggling to survive that special management should apply to these regions. In general, a recurring suggestion was to divide Greenland into several distinct management regions (possible 8 regions) since there are such huge regional differences. In the evening of the last day, everybody was invited to a PISUNA event in the cultural centre, Katuaq, where a member of the price committee, Karen Motzfeldt, together with Nuunoq, Pâviârak, Fernando and Nette gave presentations about the project and what it has meant to win the Price. This was a great ending of the workshop, and it was very clear to everybody who came that this is very important work and that it should continue in the future. Then a point on the 2018 membership report: the Consortium now gathers 140 members (24 new) and 308 honorary members (31 new). This quick “growth” brings some profound questions for the Consortium: is this growth rate sustainable ? Are there some downsides to it ? Grazia Feyerabend, the Executive Secretary of ICCA, submitted the idea that we should be more strict in the selection of the members, and favour quality over quantity, as the organization’s ambition is not to grow as much as possible but to create a strong and efficient network. For this reason, everybody agreed that we should reconsider our expectations for new members, and make sure that they’ll be able to contribute to the Consortium in some way. Around the same topic, we thought that it could be interesting to build a database of what specific skills each member has, so that we can easily link members when one of them needs help for something specific. It was also said that honorary members should fulfil a list of criteria to join (for instance, if it’s not constituted of Indigenous People, it should at least have conducted actions in favour of IPs). Also, Grazia emphasized the fact that it is more efficient to have federations and large groups of ICCAs (such as in the Philippines) rather than several small groups. The Consortium is concerned that among all the honorary members, 65% are males, and only 23% identify as IPs. During the next years, efforts will be made to include more females and IPs as honorary members. We also deliberated on the new Gender Policy Proposal, which aims to empower women and reduce inequality and discrimination. The policy also encourages the recognition and empowerment of all genders in communities where more than two genders traditionally exist. As it was submitted for discussions, it was well specified that each region could decide by its own to adopt the text and apply it as they wish. About the finances: SwedBio, the Christensen Fund and the GEF SGP Global Support for ICCAs have been some of the main fundraisers of 2018. Some new proposals are underway, with organizations such as the WWF International Inclusive Conservation, and the Oak Fundation (which focuses on marine projects). The collaboration with the Oak Fundation would be particularly interesting because it could prefigure a new model, where the funders support directly the members, with the ICCA Consortium acting like a backup. 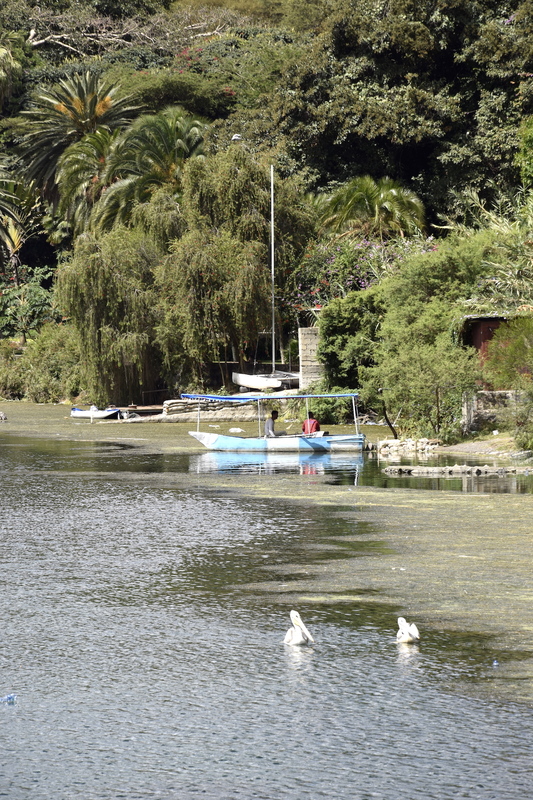 This organization focuses on the preservation of traditional livelihoods and small-scale fisheries. Interesting to note that there’s a lot of collaboration with the IUCN and the CBD. A new partnership should be launched with the CBD at COP14 in Egypt towards reaching Aichi target 11 by 2020. The IUCN Global Protected Areas Programme should provide governance assessments and help financially with the GSI phase 2. On Monday evening we had a very interesting discussion around the concept of ICCAs as OECMs (Other Effective Area-Based Conservation Measures). The Consortium is talking more and more of “Territories of Life” rather than ICCAs. 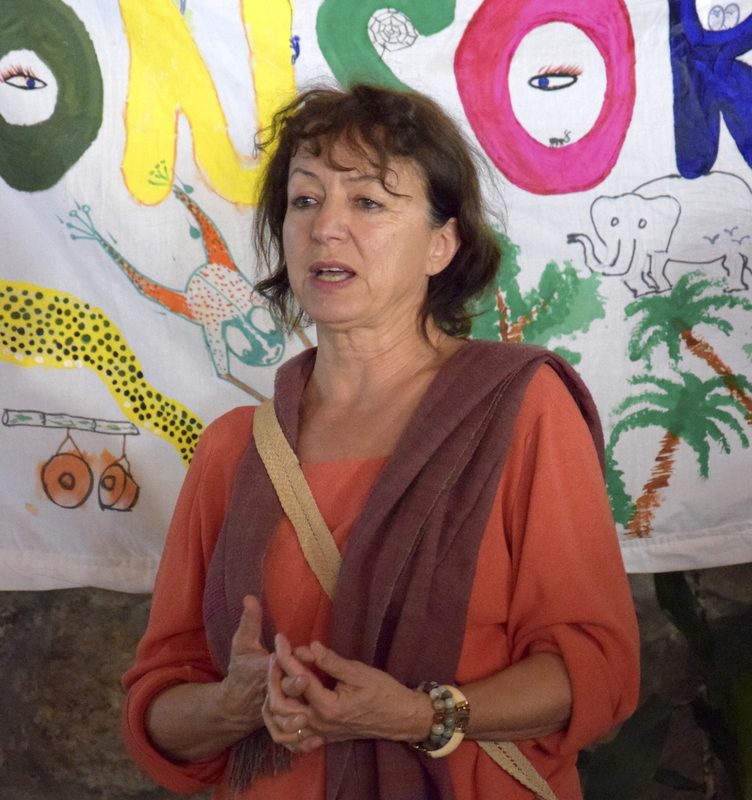 Some lobbying should be pursued during international events such as the COP to promote community-based conservation against the predominant current conservation model. WWF international is also a major partner and is giving advices regarding inclusive conservation.Several other partners were enumerated, and new collaborations should start soon. The Consortium hopes, for instance, that a collaboration with the National Geographic Society will work next year. In the regionalization process, each region will have to develop its own strategy, structure and governance system. Sub-regions will have to be clearly defined and justified, respecting the complexity and diversity of ICCAs. It was said that the definition of the regions should be porous and open, to allow useful overlaps. New President of ICCA, Teodoro Brawner Baguilat Jr, from Philippines. 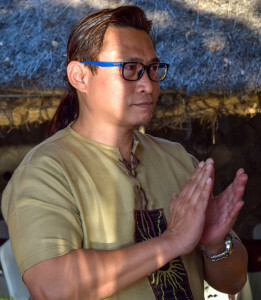 Teddy is a member of the Tuwali indigenous tribe of Ifugao and the Gaddang indigenous Tribe of Nueva Vizcaya provinces in Northern Philippines and champions the cause of all indigenous peoples. He has been Honorary member of the ICCA Consortium for several years, follows closely the ICCA Consortium work in the Philippines especially and has spoken in various international conferences on ICCAs, conservation and heritage sites, human rights and indigenous cultures. The structure of each regionalized system will be linked to the global council, secretariat and assemblies. Each region will have representatives who will also participate in the global level. The only non-negotiable thing is that there should be at least two persons, one woman and one man, in this position. Many regions are already quite advanced in the process and have already identified their sub-regions and thought about a structured governance system. It seems that two representatives for the Circumpolar North would work fine. 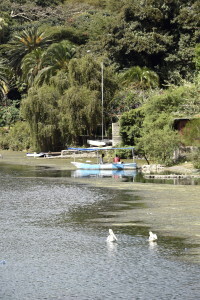 At the moment, the focus in Europe is mainly on the commons in Italy and Spain. I had the occasion to meet a lot of people and make friends.